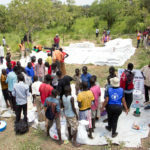 The United Nations has warned that Uganda is at a ‘breaking point’ as almost 3,000 refugees pour into the country every day from South Sudan, fleeing violence and famine in the world’s youngest country. Filippo Grandi, the UN High Commissioner for Refugees, appealed to the international community for assistance saying that with present rates of arrival, the numbers of refugees in Uganda would surpass a million before the middle of 2017. “We are at a breaking point. Uganda cannot handle Africa’s largest refugee crisis alone,” Grandi told reporters in Kampala. 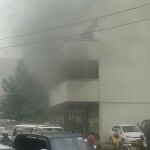 “We continue to welcome our neighbours in their time of need but we urgently need the international community to assist as the situation is becoming increasingly critical,” Rugunda said. 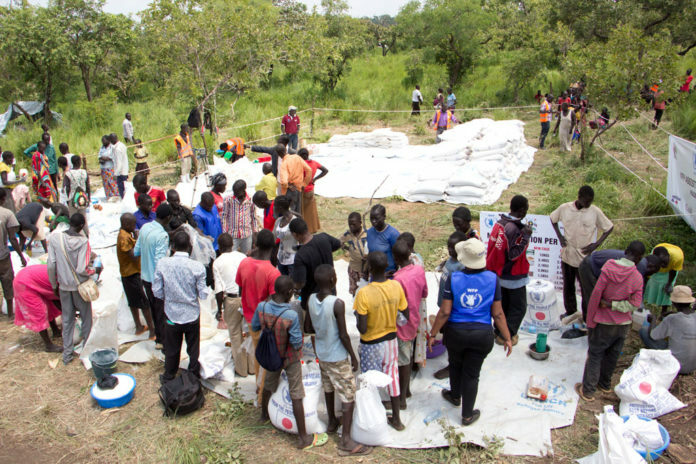 The UN says it urgently needs more than $250m to support South Sudanese refugees in Uganda. Last year, only 33 percent of the $649m needed for South Sudan was funded. Since July 2016, some 572,000 new arrivals who have poured into Uganda in desperate need of safety, with 172,000 arriving there this year alone. Babar Baloch, a spokesman for UNHCR, said that the international community had ‘failed’ Uganda as it dealt with ‘Africa’s largest refugee crisis’. Baloch said Uganda’s approach to dealing with refugees had been among the most progressive on the continent, with the government and host community displaying outstanding generosity towards people fleeing war and conflict. Arriving refugees receive small plots of land in host communities to help support themselves. “The government is open to welcoming refugees and the host nation is sharing land and resources with the South Sudanese,” Baloch said. At least 50,000 people have died in South Sudan’s civil war, which began in December 2013 as a result of a struggle for power between President Salva Kiir and former Vice President Riek Machar. The pair signed a shaky peace deal a year ago, but fighting has continued. An estimated 100,000 people are currently experiencing famine, and according to South Sudan’s government and UN agencies, another one million people are on the brink of starvation.